Just couldn’t resist posting this, so sweet and cute! 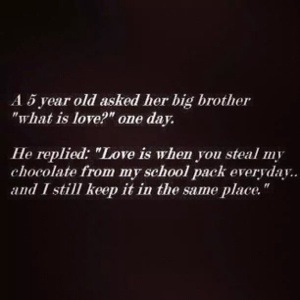 This entry was posted in love, pic of the day, relationships and tagged love, relationships. Bookmark the permalink. Happy 3rd Birthday To Me! The Lord’s love is just like that. He sustains us even when we are doing things he forbade. very true depiction of love.